As I'm certain we are all aware, October is Breast Cancer Awareness Month. For many of us, this is a cause that is near and dear to us, affecting someone we know. This is certainly true for me, having a strong family history of breast cancer. It's hard to believe that it was just a few years ago that I received the call that no daughter wants to receive. My mom had been diagnosed with breast cancer. I'm not sure if there are any words that come with such a fear. Thankfully, due to a routine self check, my mom's was caught very early and she is now happily cancer free. Still, it makes that simple pink ribbon mean that much more to me now. It is not just a sign of awareness, but also a sign of hope. It is a reminder of the faith and courage I saw in my mom through her fight with cancer. 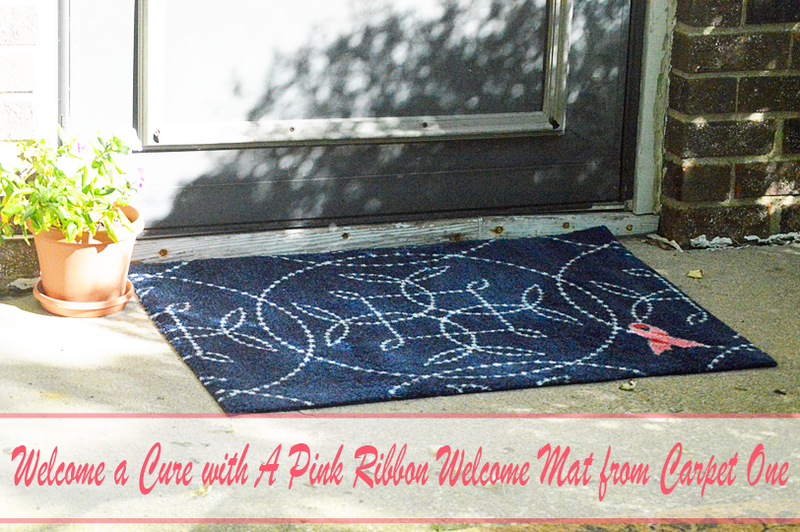 Last year, I was lucky enough to receive one of Carpet One's Pink Ribbon Welcome Mats. Throughout the year, this beautiful rug has served as a reminder of that hope. I am thrilled to anounce that this year, they are once again back with even more beautiful pink ribbon designs, like this one designed by Traci Zeller. With so many gorgeous new styles, it's hard to pick just one! 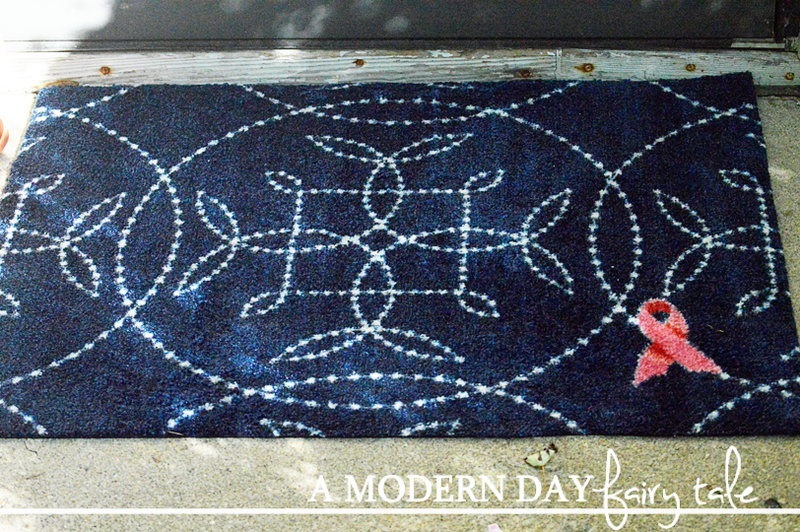 These welcome mats are not just gorgeous, they support a great cause as well. For each $24.99 ($34.99 CDN) mat sold, 25 percent of the proceeds directly support the five-star rated Breast Cancer Research Fund, with a million dollars raised to fund a cure. Amazing! This is one welcome mat that is doing good, and I am proud to have them displayed on my doorstep throughout October and beyond. Once you've entered my giveaway, hop to the other phenomenal prizes any women would love to have in her life! 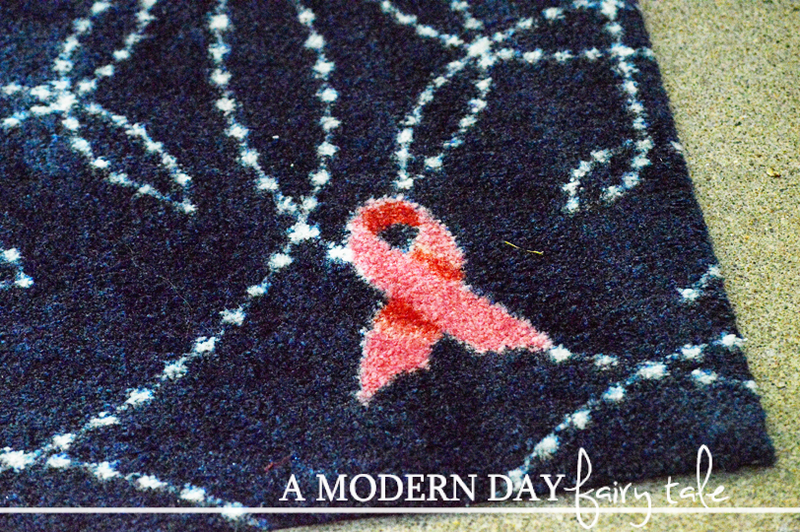 I love these carpets that depict BCA ribbons! My mom loves flamingos...no idea why...and she loves outdoor mats so perfection for her! Love the cause and this relay to remind us all about the importance of breast self-exams. They do save lives. The prize is adorable and very beautiful, too! I love that they support a great cause!! I love companies that give back!! I really like that Point Me Home rug the most. It is awesome! I had no idea I could purchase such beautiful pink ribbon rugs. Thank you for sharing them with us and for showing your support in breast cancer awareness month. I like that they donate 25% of the proceeds directly support the five-star rated Breast Cancer Research Fund! Love the proceeds idea that's awesome,the black one with the feathers would be awesome by the door. I love what you are all doing here and so many pretty carpets to choose from. I love and support the cause as my late grandmother and my late Aunt died of Breast Cancer and my mother and another aunt are survivors. Thank you for the chance. This rug is so nice! I'd love to give it as a gift. I love the Whalecome Home and Paws Here mats, they're so cute! I would love this, as I've had many women in my life who had breast cancer. I love that companies such as Carpet One participate in the fight against breast cancer. If I were to need an item I would be a lot more inclined to purchase it from a company that does versus on who doesn't. I love the mat and I love the cause.